Wolf Commercial Real Estate currently has available well-located office space in Cherry Hill for lease at 496 North Kings Highway Cherry Hill NJ. This well-maintained Cherry Hill office space for lease has five separate office suites available on two floors for a total of 9,112 square feet of premier office space in Cherry Hill for lease. The asking lease price for this office space in Cherry Hill is $19.50/sf full service including janitorial service. The three suites available on the first floor of this office space in Cherry Hill for lease are 6,159 sf, 1,053 sf, and 1,165 sf. The two suites on the second floor of this office space in Cherry Hill are 310 sf and 325 sf. The 6,159-sf suite on the first floor of this office space for lease in Cherry Hill is a brand-new physical therapy office. This Cherry Hill office space for lease is available through Wolf Commercial Real Estate, a Cherry Hill commercial real estate brokerage firm that specializes in Cherry Hill commercial real estate listings and services. There is excellent parking at this office space in Cherry Hill. The median household income within five miles of this office space in Cherry Hill at 496 North Kings Highway Cherry Hill NJ is nearly $98,000 a year and there are more than 240,000 residents living within that same radius of this office space in Cherry Hill. This Cherry Hill office space for lease at 496 North Kings Highway Cherry Hill NJ is in the heart of Cherry Hill on the highly traveled North Kings Highway. 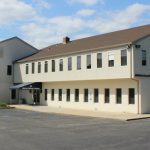 This Cherry Hill office space for lease through Wolf Commercial Real Estate, a Cherry Hill commercial real estate broker that specializes in Cherry Hill commercial real estate listings and services, has an elevator on site, a shared conference room, and a large cafeteria available for all tenants. Major capital improvements have just been completed to the building housing this office space in Cherry Hill. Tenants leasing this office space in Cherry Hill will be joining current tenant Family Foot and Ankle Center of South Jersey. For more information about this office space for lease in Cherry Hill at 496 North Kings Highway Cherry Hill NJ, about other office space in Cherry Hill, or about any other Cherry Hill commercial properties for sale or lease, please contact Ryan Barikian (856-857-6307; ryan.barikian@wolfcre.com) or Tammi Coppinger (856-857-6303; tammi.coppinger@wolfcre.com) at Wolf Commercial Real Estate, a Cherry Hill commercial real estate broker. Wolf Commercial Real Estate, the leading Cherry Hill commercial real estate brokerage firm that specializes in Cherry Hill commercial real estate listings and services, is offering prime Cherry Hill office space for lease at 226 Haddonfield Road Cherry Hill NJ. The property containing this Cherry Hill office space is across the street from the Cherry Hill Mall. 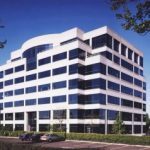 This Cherry Hill office building for lease is a unique high-end office space ideal for an HQ user. In addition, this Cherry Hill office space for lease is a recently renovated property with many high-end interior features. There also are well-landscaped grounds at this Cherry Hill office space for lease at 226 Haddonfield Road Cherry Hill NJ. Please call for the asking lease price for this office space in Cherry Hill. This Cherry Hill office space for lease is being offered for a second quarter 2019 occupancy through Wolf Commercial Real Estate, a Cherry Hill commercial real estate broker with expertise in Cherry Hill commercial real estate listings and services. This Cherry Hill office space for lease at 226 Haddonfield Road Cherry Hill NJ contains a total of 6,625 sf and this Cherry Hill office space for lease features both abundant parking and highly visible signage. There also is excellent access to Routes 38, 70, 73, I-295, and the New Jersey Turnpike from this Cherry Hill office space for lease. This Cherry Hill office space for lease is prominently positioned at the corner of Haddonfield Road and Dudley Avenue and this office space in Cherry Hill is in a high demographic area of the township. This Cherry Hill office building is available for lease through Wolf Commercial Real Estate, a Cherry Hill commercial real estate brokerage firm with expertise in Cherry Hill commercial real estate listings and services. 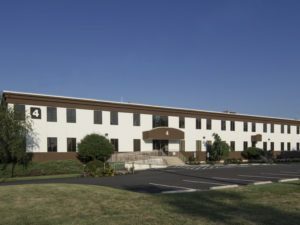 More than 290,000 people reside within a five-mile radius of this office space in Cherry Hill while the average household income in the same geographic area near this Cherry Hill office space for lease is $79,771. For more information about this Cherry Hill office space for lease at 226 Haddonfield Road Cherry Hill NJ or about any other Cherry Hill commercial properties for sale or lease, please contact Jason Wolf (856-857-6301; jason.wolf@wolfcre.com) or Christopher Henderson (856-857-6337; chris.henderson@wolfcre.com) at Wolf Commercial Real Estate, a Cherry Hill commercial real estate broker that specializes in Cherry Hill commercial real estate listings and services. 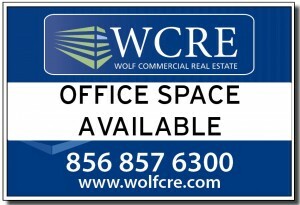 Wolf Commercial Real Estate, the leading Cherry Hill commercial real estate brokerage firm that specializes in Cherry Hill commercial real estate listings and services, is offering prime Cherry Hill office space for lease in 4 Executive Plaza at 771 Cuthbert Road Cherry Hill NJ. This Cherry Hill professional office space – located in the heart of the Cherry Hill Business District – has +/- 1,300 sf of Cherry Hill professional office space for lease available. Prospective tenants also will find monument and building signage at this Cherry Hill office building for lease. This Cherry Hill professional office space for lease is near the Garden State Towne Center, the Ellisburg Shopping Center, and the Cherry Hill Mall. The asking lease price for this professional office space in Cherry Hill has been set at $20.00/sf plus electric. This Cherry Hill professional office space for lease is being offered for immediate occupancy through Wolf Commercial Real Estate, a Cherry Hill commercial real estate broker with expertise in Cherry Hill commercial real estate listings and services. This Cherry Hill office space for lease in 4 Executive Plaza at 771 Cuthbert Road Cherry Hill NJ is an ideal corporate headquarters opportunity and there have been recent renovations and capital upgrades at this professional office space in Cherry Hill. 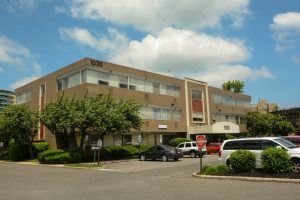 Building amenities of this professional office space in Cherry Hill include both street-level and covered-parking areas. There also are two entrances at this Cherry Hill office space for lease. 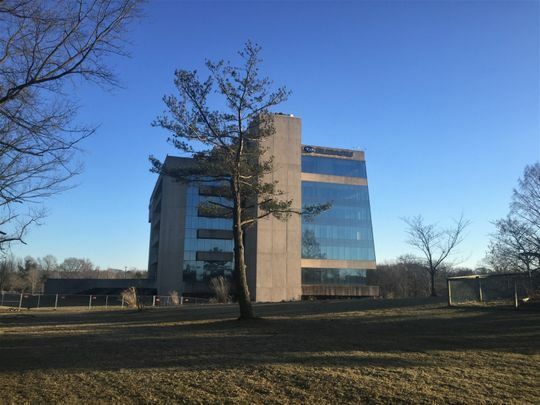 This Cherry Hill office space for lease in 4 Executive Plaza at 771 Cuthbert Road Cherry Hill NJ provides easy access to Route 70, 38, I-295, the New Jersey Turnpike, and the Benjamin Franklin Bridge. Parking is available at this Cherry Hill office space for lease with a ratio of 4.5/1,000 sf. This Cherry Hill professional office building is available for lease through Wolf Commercial Real Estate, a Cherry Hill commercial real estate brokerage firm with expertise in Cherry Hill commercial real estate listings and services. More than 335,000 people reside within a five-mile radius of this professional office space in Cherry Hill while the average household income in the same geographic area near this Cherry Hill professional office space for lease is $72,420. For more information about this Cherry Hill office space for lease in 4 Executive Plaza at 771 Cuthbert Road Cherry Hill NJ or about any other Cherry Hill commercial properties for lease, please contact Christopher R. Henderson (856-857-6337; chris.henderson@wolfcre.com) or Jason M. Wolf (856-857-6301; jason.wolf@wolfcre.com) at Wolf Commercial Real Estate, a Cherry Hill commercial real estate broker that specializes in Cherry Hill commercial real estate listings and services. Wolf Commercial Real Estate, a leading Cherry Hill commercial real estate broker with expertise in Cherry Hill commercial real estate listings and services, now has available premier Cherry Hill office space for lease at 111 Woodcrest Road Cherry Hill NJ. This Cherry Hill professional office building for lease in the Woodcrest Corporate Center at 111 Woodcrest Road Cherry Hill NJ has available +/- 6,258 square feet of Cherry Hill professional office space for lease. This Cherry Hill office building for sale has an open and efficient floor plan with common access to the lobby, restrooms, and elevator. The asking lease price for this professional office space in Cherry Hill is $10.00/sf NNN. This Cherry Hill office space for lease is a Class A, two-story property. This Cherry Hill office building for lease is being offered for immediate occupancy by Wolf Commercial Real Estate, a Cherry Hill commercial real estate brokerage firm that specializes in Cherry Hill commercial real estate listings and services. Located in the Woodcrest Corporate Center, this professional office space in Cherry Hill is also an excellent sub-lease opportunity as its current lease term expires 11/30/19. This Cherry Hill professional office space for lease is near Voorhees Town Center and this Cherry Hill office building for lease has exceptional corporate neighbors, such as Hewlett Packard and American Water Company. This Cherry Hill office space for lease offers immediate access to I-295 from exits 31 and 32 and has direct access to the PATCO High-Speed Line Woodcrest station. Leasing opportunities for this professional office space in Cherry Hill are now available through Wolf Commercial Real Estate, a leading Cherry Hill commercial real estate broker with expertise in Cherry Hill commercial real estate listings and services. There is ample parking at this Cherry Hill professional office building for lease with a parking ratio of 5/1,000 sf. 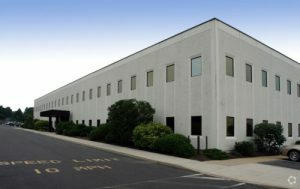 An average of 38,000 vehicles per day pass the site of this Cherry Hill office building for lease. More than 268,000 residents live within a five-mile radius of this professional office space for sale in Cherry Hill and the average household income in the same area is $87,718. For more information about this Cherry Hill office space for lease in the Woodcrest Corporate Center at 111 Woodcrest Road Cherry Hill NJ, or about any other Cherry Hill commercial properties for sale or lease, please contact Jason Wolf (856-857-6301; jason.wolf@wolfcre.com) at Wolf Commercial Real Estate, a Cherry Hill commercial real estate brokerage firm. Wolf Commercial Real Estate, a leading Cherry Hill commercial real estate broker with expertise in Cherry Hill commercial real estate listings and services, now has available premier Cherry Hill office space for lease at 4 Executive Campus-771 Cuthbert Road Cherry Hill NJ. This Cherry Hill professional office building for lease at 4 Executive Campus-771 Cuthbert Road Cherry Hill NJ features +/- 3,250 sf to 13,626 sf of both contiguous and divisible Cherry Hill professional office space for lease on the first floor, and +/- 10,079 sf of divisible professional office space in Cherry Hill. Leasing opportunities for this professional office space in Cherry Hill are now available through Wolf Commercial Real Estate, a leading Cherry Hill commercial real estate broker with expertise in Cherry Hill commercial real estate listings and services. The asking lease price for this professional office space in Cherry Hill is $12.00-$14.00/sf plus electric. This Cherry Hill office building for lease is being offered for immediate occupancy by Wolf Commercial Real Estate, a Cherry Hill commercial real estate brokerage firm that specializes in Cherry Hill commercial real estate listings and services. This Cherry Hill professional office building for lease has had recent renovations and capital upgrades. Monument and building signage is available to tenants at this Cherry Hill professional office space for lease. There are two entrances at this Cherry Hill office building for lease at 4 Executive Campus-771 Cuthbert Road Cherry Hill NJ. There is street-level parking and a covered parking area at this Cherry Hill office space for lease, and tenants will find ample parking capacity at this Cherry Hill professional office building for lease with a parking ratio of 4.50/1,000 sf. More than 335,000 people reside within five miles of this Cherry Hill professional office space for lease and the average household income within that same radius of this Cherry Hill office space for lease is just more than $72,000 a year. This professional office space in Cherry Hill is in the heart of the Cherry Hill Business District and this Cherry Hill professional office space for lease has convenient access to Route 70, 38, I-295, the New Jersey Turnpike, and the Ben Franklin Bridge. 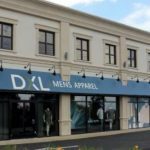 This Cherry Hill office building for lease is close to the Cherry Hill Mall, Garden State Towne Center, and Ellisburg Shopping Center. This Cherry Hill office space for lease is an ideal corporate headquarters opportunity. For more information about this Cherry Hill office space for lease at 4 Executive Campus-771 Cuthbert Road Cherry Hill NJ, or about any other Cherry Hill commercial properties for sale or lease, please contact Jason Wolf (856-857-6301; jason.wolf@wolfcre.com) or Christopher Henderson (856-857-6337; chris.henderson@wolfcre.com) at Wolf Commercial Real Estate, a Cherry Hill commercial real estate brokerage firm. Wolf Commercial Real Estate, a premier Cherry Hill commercial real estate brokerage firm with expertise in Cherry Hill commercial real estate listings and services, is now offering Cherry Hill office space for sale at 455 Route 70 West Cherry Hill NJ. This Cherry Hill professional office space for sale is a highly visible medical/professional office building. 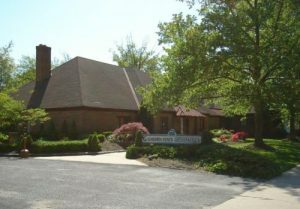 This Cherry Hill office building for sale has 5,642 square feet of professional office space for sale in Cherry Hill. There is 4,960 sf of professional office space in Cherry Hill available on the first floor and 682 sf of Cherry Hill office space for sale on the second floor. The asking sale price for this professional office space in Cherry Hill is $859,000 and this Cherry Hill office building at 455 Route 70 West Cherry Hill NJ sits on approximately .74 acres. This Cherry Hill professional office space for sale is available for immediate occupancy through Wolf Commercial Real Estate, a Cherry Hill commercial real estate broker that specializes in Cherry Hill commercial real estate listings and services. This professional office space for sale in Cherry Hill is in excellent move-in condition. While this Cherry Hill office space is close to I-295, this Cherry Hill professional office space is across the street from the Ellisburg Shopping Center and within walking distance of Ponzio’s Diner. This Cherry Hill professional office space for sale is being brokered through Wolf Commercial Real Estate, a Cherry Hill commercial real estate brokerage firm with expertise in Cherry Hill commercial real estate listings and services. There is prominent monument signage available at this Cherry Hill office building for sale that is visible from both directions of traffic. In addition, this professional office space in Cherry Hill offers pylon signage. This Cherry Hill office building for sale at 455 Route 70 West Cherry Hill NJ is fully fit-out as a medical office building and prospective tenants will find a large parking lot with easy ingress/egress; there’s also on-street parking available at this professional office space for sale in Cherry Hill. More than 301,000 residents live within a five-mile radius of this professional office space for sale in Cherry Hill and the average household income in the same area is $88,862. Join the Route 70 renaissance with the Cherry Hill office building for sale. For more information about this Cherry Hill office space for sale at 455 Route 70 West Cherry Hill NJ or about other Cherry Hill commercial properties for sale or sale, please contact Christopher R. Henderson (856-857-6337; chris.henderson@wolfcre.com) or Jason Wolf (856-857-6301; jason.wolf@wolfcre.com) at Wolf Commercial Real Estate, a Cherry Hill commercial real estate broker.